Summer 2015 has almost arrived and to make it wonderful there cannot be a better idea than spending time with friends in the garden or on the terrace and longing around the pool. Many of us desire bringing our living spaces outdoors however not all of us are successful in doing so because of the effort it takes. No matter how small or large your house is, you can make your summer wonderful by bringing your living space outdoors. 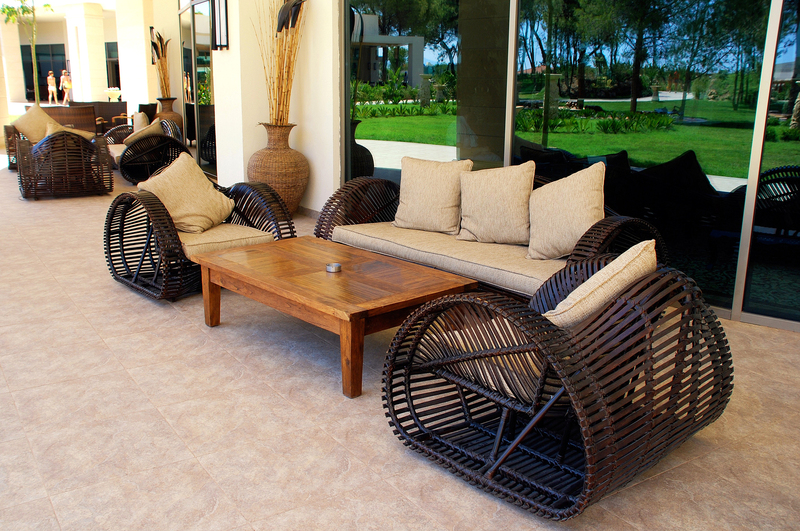 In order to do so, you need furnishing your home’s outdoor space. Choosing just right furniture for your home outdoors can help you live this summer to its full. Before you finally get to the market and randomly select furniture that may leave you regretting afterwards, you should make intelligent decision and choose the one that lasts longer and has the ability to withstand all kinds of weather conditions such as sunlight, winds and storms. The interior decorators in Lahore recommend equally furnishing home outdoors along with the indoors to maintain the balance in daily living. While you select outdoor furniture, it is not necessary to opt for metallic furniture; you may also go for wooden furniture that is especially made for outdoor use. In fact, the choice of woods is almost endless when it comes to outdoor furniture. 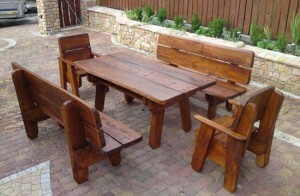 There is mahogany, beech, teak, cypress and many more types of wood for your outdoor furniture. Besides, the finishing of wood is also chosen depending on the type of wood and the place where the furniture is going to be placed. The finishing material may include oil, paint, stain and much more. Did you know there are many woods that are weather resistant; one may also use them for furniture. The teak wood is one such example of wood that is weather proof. The teak wood color would change in accordance with the type of finishing. When it is oiled, it turns from olive to medium brown. Besides, when the teak wood furniture is exposed directly to weather, it turns into a silvery gray shade. The outdoor wood furniture needs to have a solid construction so make sure that you hire the best architect in Pakistan to help you with outdoor furnishing. 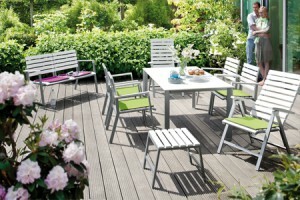 The aluminum furniture is the most durable when choosing for outdoors and is considered the safest investment by many. It is long lasting, lightweight, rust proof and has many other features that make it the primary choice in outdoor furnishing. The only exception where aluminum furniture does not work outdoors is the areas of high winds. While opting for outdoor furniture made out of aluminum, you need making sure that it has smooth welds and stainless steel hardware. The powder coated furniture or baked-on finish is preferred. There are three different types of aluminum to choose from including tubular, cast and wrought. The tubular aluminum furniture is mostly used for contemporary settings whereas cast aluminum is costly and is best choice for family that prefers changing furniture every season. The wrought aluminum furniture is hand-forged and offers high-tech properties of aluminum. For taking care of your aluminum furniture, you should apply a coat of liquid wax every season and wash it occasionally with detergent.